Our Sodium Sulphate is an efficient chemical, suitable for various industrial applications. Its chemical composition and physical attributes are ensured to be the best. 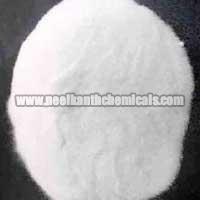 We are an ace Manufacturer, Exporter, and Supplier of Sodium Sulphate. We dole the chemical out, precisely packaged, in various grades, including food grade, detergent grade, industrial grade, and IP grade. To place an order for it – whether in bulk, contact us!